Can Egg Crate Mattress Pads Be Used With an Electric Mattress Pad? 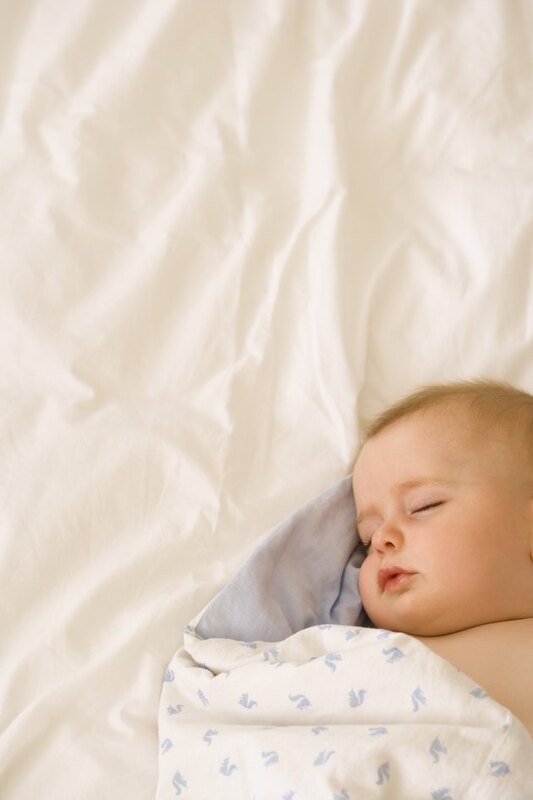 Heat from an electric pad or blanket contacting an egg crate mattress pad can be safe if you take appropriate precautions. Always follow the manufacturer's rules for safety and never leave the blanket on all night while you're asleep. It's impossible to stop a potential burn from turning into a fire while you're unconscious. Never place small children on an electric blanket. A properly functioning electric mattress pad shouldn't pose any threat to your egg crate pad. According to The Electric Blanket Institute, keeping your electric padding flat and uniform over your mattress helps distribute heat evenly. This keeps the blanket from bunching, which can concentrate heat in spots on your mattress. Concentrated heat from an electric pad can potentially cause damage to your egg crate and surrounding blankets if the heat remains on a high setting for long periods of time. A tangled blanket cord can develop kinks that can wear away its protective outer coating. This exposes the inner wiring of the electric blanket to any fabric or surface coming in contact with the cord. During operation, heat generated through the cord can damage sheets or other mattress pads, including egg crates. Inspecting the power to ensure no worn spots exists can help prevent this from occurring. Avoid winding or looping the cord tightly during storage to help limit the wear and tear on its protective coating. An electric mattress pad includes a thin layer of insulation inside the padding to protect surfaces from direct exposure to heat generated during operation. Allowing pets to walk on the blanket or keeping sharp objects on your bed can potentially cause punctures in the protective insulation. This can lead to hot spots in the mattress pad, which could prove to be a fire hazard if you use an egg crate pad on top of your mattress. Malfunctions or shorts in an electric mattress pad's wiring are impossible to predict under normal circumstances. Small brown spots on your mattress or blankets could be a sign of a potential electrical problem with your electric pad's wiring. Continuing to use the pad could present a fire risk. According to Boston College's website, an egg crate foam mattress pad could be particularly vulnerable to fire damage when an electric blanket is running and a malfunction occurs. Direct heat contact with an old or thin egg crate pad isn't advisable due to the flammable nature of the material. Jonathan Lister has been a writer and content marketer since 2003. His latest book publication, "Bullet, a Demos City Novel" is forthcoming from J Taylor Publishing in June 2014. He holds a Bachelor of Arts in English from Shippensburg University and a Master of Fine Arts in writing and poetics from Naropa University. Why Doesn't My Electric Blanket Work?